Sometimes, that’s how I feel about our world today. There is a lot going on in our world that is concerning–from the societal breakdown that has led to mass shootings and many other kinds of violence and pain, to a nearly daily drip in the news that we are headed back into the cold war and to a dangerous dance with nuclear conflict. I personally believe we are a part of the last generation of the world. All the things the Bible relates about the last days are happening right now. SO, how should we live? What does it mean to live with the reality that Jesus is returning soon? That’s what the series this month will be about. 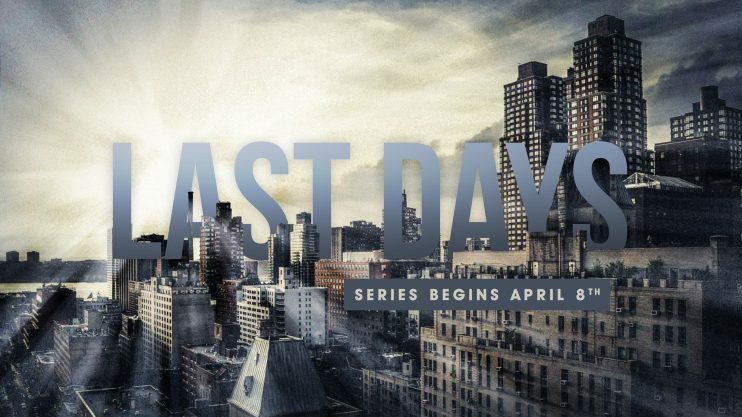 I hope you’ll join us as we explore LAST DAYS for three weeks. Check out the schedule for the series below! Live at River City Church or online at 9 or 11AM on Sundays!